Suncoast Fencing manufactures routed screens using our CNC router (computer-controlled cutting machine) and plasma cutters. These screens can be purely decorative panels for your garden, built into sections of your fence or gate, or be incorporated into signage. Whether you know exactly what you’re after or no idea at all, our friendly and experienced staff can walk you through some great options for design and explain the whole process of piecing together your custom aluminium screen. At Suncoast Fencing we have a selection of our own standard decorative screen designs available in custom made sizes to suit any requirements. We are also able to create for you, totally custom designs that are 100% Aussie made and manufactured. When it comes to custom creations, you’ll be dealing with only the best professionals to ensure you’re getting exactly what you need and want. From offering suggestions on our selections, to supplying CAD drawings and implementation, we’ll be with you every step. 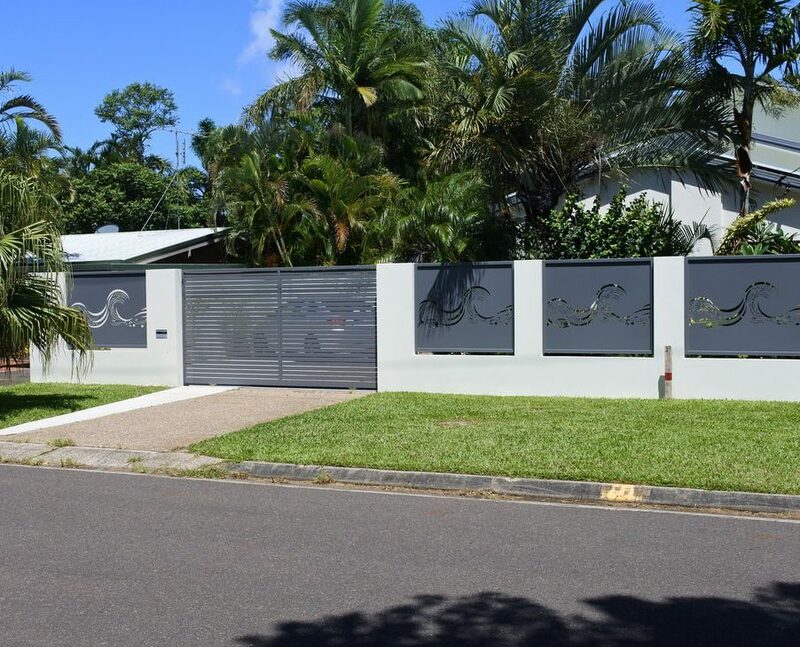 DISCLAIMER: These designs cannot be copied in part or in full without written consent from Suncoast Fencing. Brand new designs - More to be released!